Even though the weather is heating up, you can never be too prepared for winter to arrive. As the cooler months start coming back, you need to keep your home from suffering frozen pipes near Elmhurst . There are a few ways you can keep your pipes from freezing this winter with preparation in the summertime. Before winter starts, you should be winterizing your home to protect from cold temperatures. Summer is the ideal time, because you will not have to worry about the occasional evening with freezing temperatures as you would in the fall. You should also be winterizing your summer appliances—such as the swimming pool, sprinklers, and garden hoses—as summer winds down to keep your pipes from potentially bursting. Open up these water lines and let them drain. Hoses may still have water present in them, so open the outside valve so any remaining water will not risk the pipes. 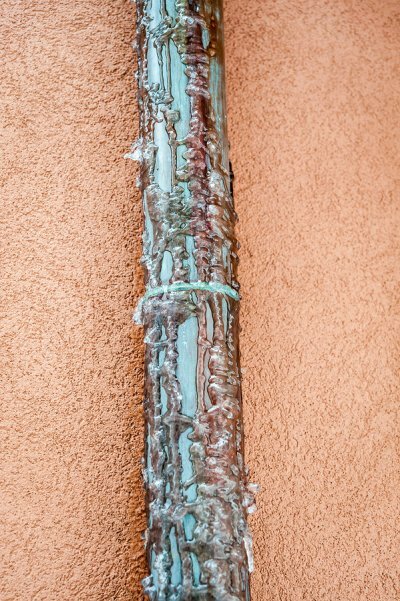 One of the most important ways to prevent frozen pipes is to insulate them against the cold. If you have any exposed pipes outside the house, or in a cold basement, then look into different insulation materials. There are pipe sleeves and tape specifically meant to fully cover pipes against cold weather. These sleeves can be found at your local hardware store or with your plumbing services. Some homeowners, typically in milder climates, can protect their pipes with newspapers and plastic bags. These methods should only be used if you are in a pinch. Buy proper piping insulation as soon as you are able. You want your heater running at certain temperatures and times of the day to keep your pipes from bursting. If you leave for vacation, keep your heater going while you are away. Though there will be no one there to enjoy the heat, you cut down on the risk of a frozen and broken pipe. Also, try to keep your heater consistent in temperature throughout the day and night. Your pipes can retain the benefit of the heater when the temperature drops at night.